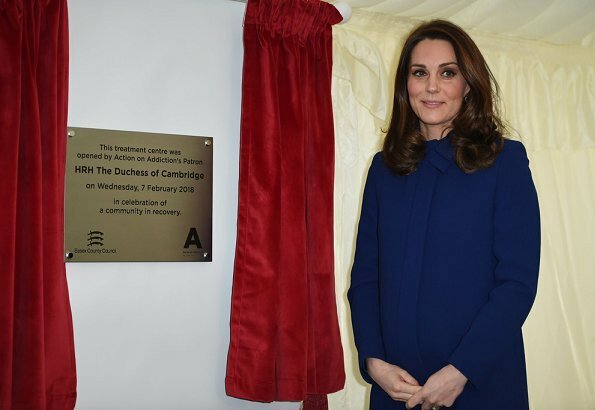 On February 7, 2018, Duchess Catherine of Cambridge opened a new treatment centre which will help people get rid of drug and alcohol addiction. 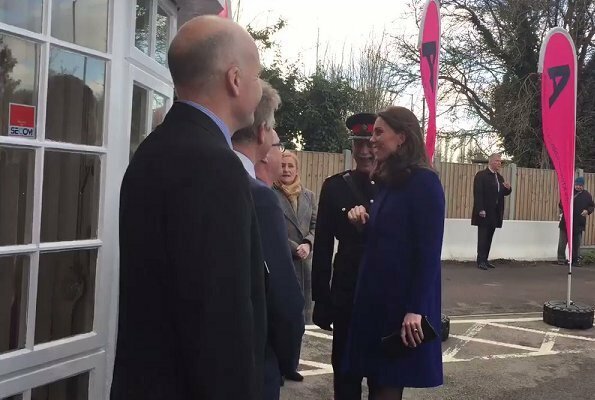 The centre will present a 48 day treatment program for people with addiction. 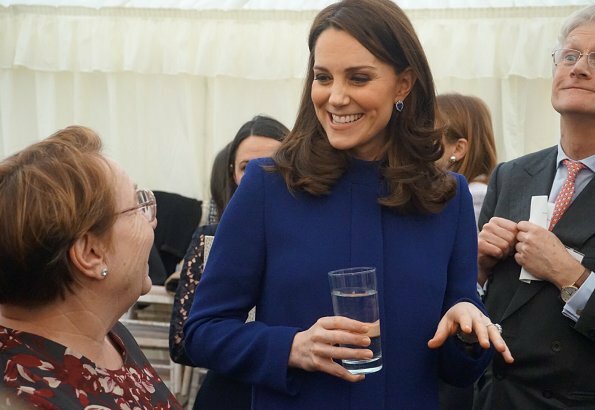 The Duchess also attended a round table meeting with health professionals and attended the opening reception. I love this color on Catherine. It's a rather short coat but she pulls it off. And she continues to look great in the latter part of this pregnancy. She looks very good. The skirt is maybe a bit short but the dark tights help it work. True. The dark tights save the look. 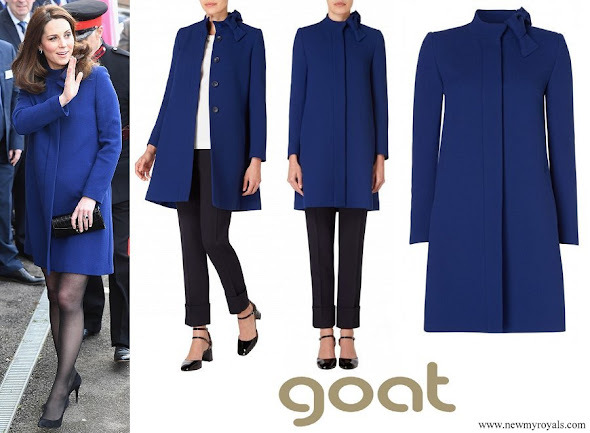 And those tanzanite and diamond earrings are sooo beautiful and match the coat perfectly. These earrings! Any ideas if they are new or borrowed? She has had the tanzanites for a couple of years. There is also a matching necklace that is gorgeous. I think she looks great. Faithful to her usual style but it works. Her hair is looking good again. I am quite disappointed. My own fault, undoubtedly. I wasn’ t realistic. I had a different expectation - one that presumed her to have a level of awareness on the footprint of the textile industry and our consumerism (and no, don’t tell me she is doing this, i.e. : buying another blue coat, over and above the other 10 she already has, only so that she can ‘do her part’ in keeping people employed). One that had her less concerned to showing her legs, but rather more in keeping with an appropriate hemline for her position (and no, don’t tell me about Madame Macron as an example, that’s even less appropriate). Well, there’s absolutely a strong positive: she is doing more work at this point, and that is in the end adding significant value. Just that I had higher expectations... and that’s on me. 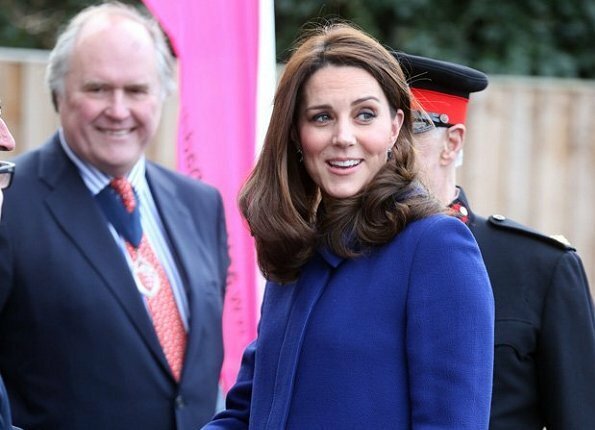 oh my that looks cold..brr she could have worn it just like the model did..
Nice to see that Kate has felt so well/comfortable during her pregnancy this time. 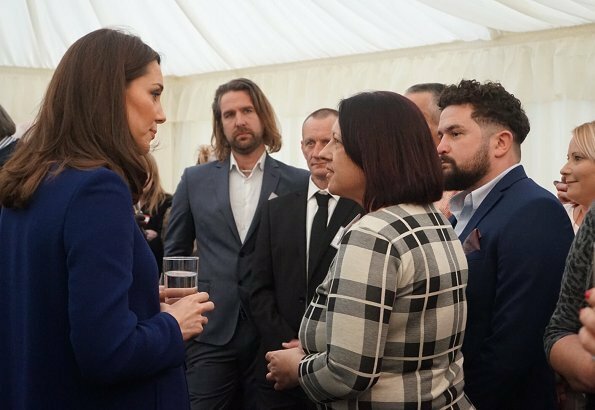 She has really taken on many jobs and, not least, the journeys to Scandinavia with a very full program both day and evening! 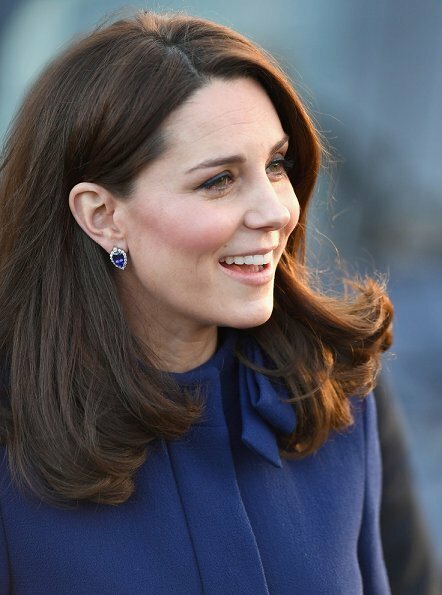 Stylish, chic and elegant Duchess. Another WOW look from her. How many coats does she have now? 500? 800? There's at least 200 of the same colour and style that I can't tell apart. She really needs a better stylist. Oh the other hand, she looks happy this pregnancy. She had been glowing. I hope she has a safe delivery and happy & healthy baby. She appears graceful and stylish and is doing a great job in this late part of pregnancy.